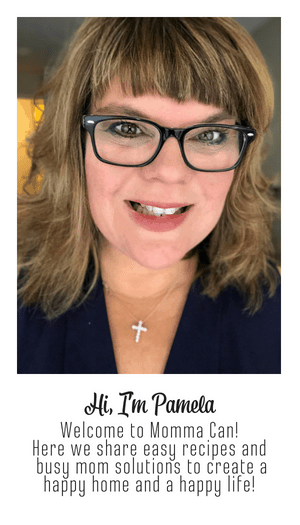 Clean and organize your home for Christmas or any holiday! 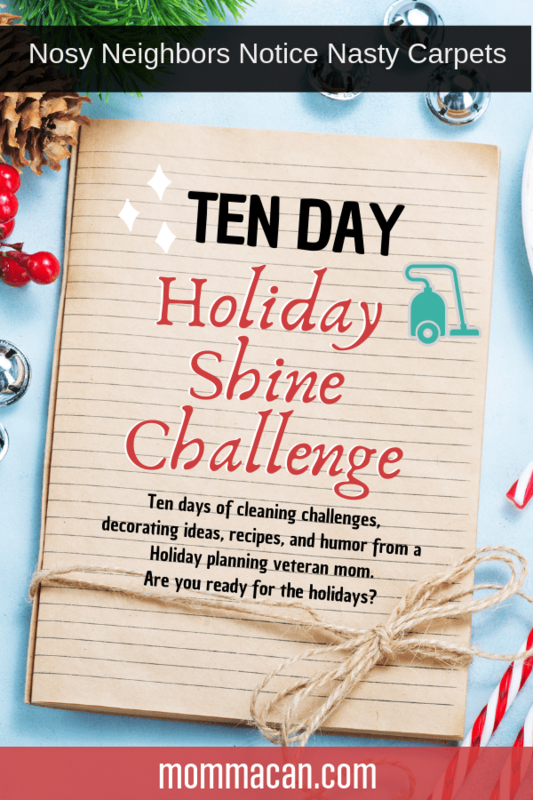 Our Holiday Cleaning challenge is full of silliness and easy steps! Cleaning for Christmas has never been better! Join Us! Hi, friends. Here we are again today chatting about Nosy Neighbors and Snoopy relatives causing moms more misery! Wandering around the house this morning I noticed several items out-of-place. Then with coffee in hand, I peeked out the window only to discover that the Tree Service has decided to show up a week earlier to cut down two enormous pine trees on our side yard. I know, it is shameful to cut the trees, but sometimes the winds get pretty bad here and due to the dry seasons in California trees have been known to uproot themselves with strong winds and just fall over. The two trees to be cut are right outside my home office. The noise in my office is unbearable! I want to drive far, far, away to get away from the sound of that awful chainsaw. But wait, there is something very pressing that I need to type and share. The carpets. Repeat after me, nosy neighbors notice nasty carpets. 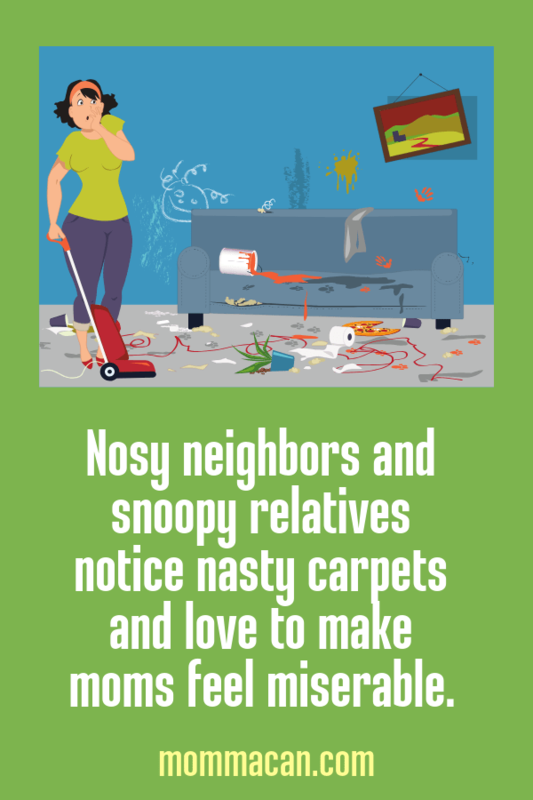 Nosy neighbors and snoopy relatives love to gossip about busy mom’s dirty carpets. Yes, it can hurt your feelings and yes they really should learn to be nice, but we don’t live in a perfect world. We can just do our best and no allow their negative behaviors to ruin our happy holidays! However we can do things to prevent mess, so I have learned over the years. When I was pregnant with Little Guy, my mother-in-law was kind enough to put in the carpet in our very first home. Now, mind you I was about seven months into the pregnancy and was pretty much incapable of making any decorating decisions. My brother-in-law was getting carpet in his townhouse at around the same time, and I liked the color he picked, so I said just put that one in, it matches everything. Big mistake, light wheat colored Berber carpet stains like no other carpet I have ever experienced. All you have to do is walk by it with a glass of water, and suddenly little dirt spots appear and random red Koolaid trails jump out of every corner. By the time Little Guy was three months old my only purpose in life was to get rid of that carpet. Time passed, and we were able to replace the carpets in the downstairs common areas and my office. They are now hardwood. The upstairs unfortunately is still that awful Berber carpet. And it is an eyesore and riddled with spots of this and that and mind you I clean it every four months. Cleaning that carpet is like washing dishes, no matter how many times you wash when you turn around there sitting on the counter is another big batch. Update: I now have hardwood floors throughout the house and only have to spot clean area rugs that don’t fit in the washing machine! WOOT! And let’s face it nosy neighbors and snoopy relatives love to make comments on spotty carpets. If you have dirty carpets, you can clean for days and your house still looks, well dirty. Let’s Spot Clean Spot Some Carpets! Well, use what you have. If you don’t have a carpet cleaner, spot cleaner ( you know the ones in those spray bottles) you can use a solution of half vinegar and water or dishwashing liquid. Vacuum well only the traffic area and the areas your holiday guest will be visiting. Spot clean the most obvious spots with the solution of your choice. I am linking a helpful link at the bottom for homemade solutions and how to use them. Let the areas dry and try to keep the dogs and children away for at least 2 hours. ( I know impossible). Or if you have time, clean the whole carpet, or just the heavy traffic middles. Now you have done your best, and if you still get a few snide remarks when your visitors come over for the meal you spent 60 hours preparing calmly tell them you will be glad for them to host the next sit-down, home-cooked meal for 30 at their house. Question: What goofball decisions did you make while pregnant? I got white Berber carpet (yeah, white) in my daughter’s room when she was 4. It lasted a year. Not a good life for a carpet, I know. I know it truly has been a big ol pain in the behind for me.